Enjoy a three course dinner, live music, swing dancing, raffles, and more- all while supporting our veteran and senior clients! Donate in Honor or in Memory of a loved one. Seniors love their pets, and so do we! Our free pet food program allows for seniors to keep their furry friends without worry! Find out how we provide more than a meal. 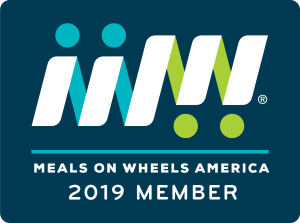 Meals on Wheels Riverside offers much more than a meal. Our daily deliveries of fresh, nutritious meals also provide much-needed companionship and peace of mind. We all know someone who has been affected by Meals on Wheels. Learn how our Riverside Mayor, Rusty Bailey, has been impacted by Meals on Wheels Riverside.